I am delighted to invite you all to the presentation of Cream Cluster. 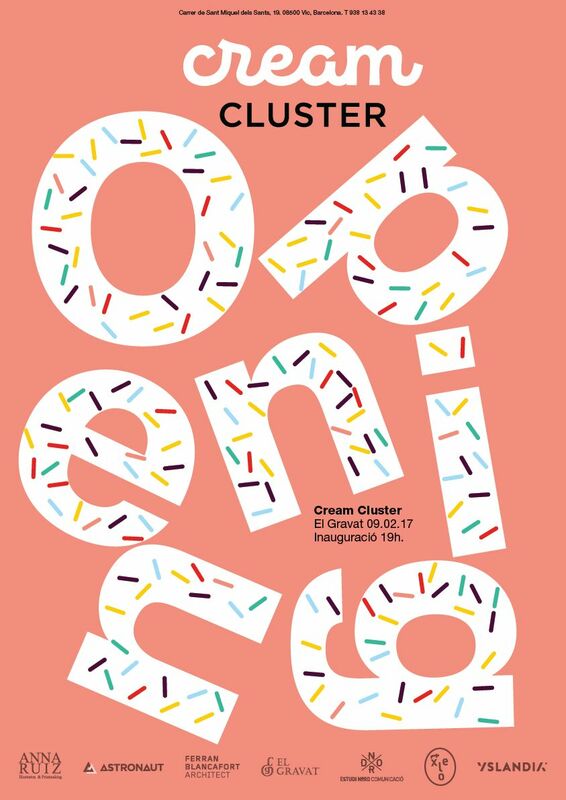 Founded in 2015 by Gil Blancafort, Cream Cluster is the union of creative companies where talent and experience come together thanks to the knowledge of different professionals in many fields: strategists, creatives, producers, architects programmers, art directors, illustrators and chefs. A mixture that seeks innovative and integral solutions through communication.